Feedback from participants at Syngenta. Explanation of the concepts using examples made everything very easy to understand. Six Sigma concepts are made simpler by Benchmark. – Bhagyashree Hosamane, Payroll Lead, Syngenta. The most useful aspect of the training program were the DMAIC concepts used to logically work through problems and find solutions. 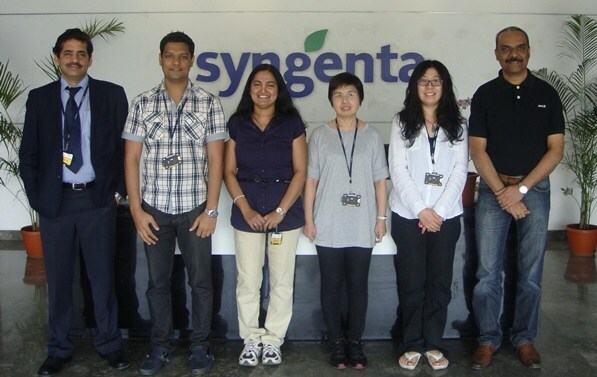 – Jessie Phang, HR Services Delivery Manager, Syngenta. Excellent course material and tools. Trainer’s way of delivery was great. He was able to link relevant concepts to processes within company. – Sunil Anthony D’Souza, Payroll Service Delivery Manager, Syngenta. Good explanation, very friendly trainer, topics were very relevant to my function. – Sudhakar Reddy, Production Strategy & Projects Manager, Syngenta.